Maram... Just to keep you a little inform on what is happening in our company. On 9th Sept 2011, our company advertised in the paper with the headline as 'Listening reaps golden success.' The advertisement was to congratulate 244 of our stellar agents who had gained the prestigious Million Dollar Round Table (MDRT) recognition. Founded 1n 1927, MDRT is the US-based premier association for the world's leading financial professionals in the life insurance business. I believe my company has the most qualifying MDRT agents of the year 2011 in our local industry, numbering 244. We have 13,000 contracted agents in the company. The 244 represents less than 2% of our total working agents. On worldwide calculation, it's a known fact that each year there is less than 3% of the international life insurance agents would qualify the MDRT. Out of our 244 qualifying MDRT agents, One has been a qualifying and life member for 28 years consecutively, follow by the next one of 16 years, one 12 years, one 11 years and the rest below nine years qualification. Most of them are mainly for the first and second years qualification. Many had qualified before but not many could sustain and to maintain the qualification repeatedly every year. The qualification is based on our personal production. Maram, if you had seen that advertisement, your friend RF is the one who holds the 28 years qualification. Yes! Certainly I'm proud and happy to be able to qualify this prestigious association every year. The fact is... Without the support and respect from my clients and friends, I know very well, I won't be able to reach there. Next question in your mind... Why not many agents qualified like you? Maram, do you know the big money is not just selling and selling. The high earners are those who have many agents who sell for them. I have many colleagues who joined the industry almost the same time with me, are currently holding the position as Group Agency Manager or Senior Agency Manager. Each of them could be having direct or indirect agents numbering by the thousand or hundred. The overriding earning could be by the million too. Not only they earn much more than me, the companies they represent love them even more. Their forces and influence are greater than one RF who has nothing to show, except the dedication and commitment to his clients. Why many could not sustain selling life insurance? Reasons.. Not many would have the patience and determination to learn the trick of being successful. Those who could have make some money, find it difficult to continue to see prospects endlessly. The principle company encourages agents to recruit for further expansion. They believe in numbers or sizable agencies who could bring in the sales. Recognition and glamour are always directed to Agency Managers. Those who could have reached and matured to a ripe old age in selling as agents, understand the sincerity in thought and speak the language of kindness. In this process of life, they would have lost the determination to strive, or their enthusiasm could have diminished or their physical health is rather weak by now. Not forgetting the business requires constant learning and upgrading, otherwise the aging agents might be unable to progress in this career any longer. Maram I hope you understand. Selling life insurance isn't easy as one thinks. You might want our whims and fancy, but the one who could stay and last in this career is the one who loves and has passion in selling. May I know who is that little darling there? A very interesting write up! I never had doubts who the evergreen member of the glamorous round table is! Congrats Bob for d oustanding achievement. At the rate you are attaining youth, you can be there as long as you live! 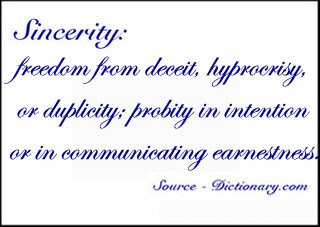 Sincerity is a very very rare value these days. Yet it is the fabric of human character. And U have proven 2b a rare species too. All d best! It's definitely my destiny to be fully involved in this noble profession to sell life insurance. Otherwise Our Creator won't have sent me to see you in June 1983 when you became my first few clients. Your decision to effect that policy inspired me greatly. Ever since then I have mentored you as my Hero in mind. The rest was history and today we are great friends and it's an honour to be still serving you as a humble agent to you. Thank you for inspiring and motivating me. Rather! This was a very amazing submit. Thanks on your supplied details.